The Grant bio mini magnetic stirrer MMS-3000 is a compact magnetic stirrer for handling small volumes in routine laboratory procedures such as pH metering, extraction and dialysing. The stirrer is quiet when in operation, compact so it fits neatly into the workspace and easy to use with a graduated dial for quick and convenient selection of mixing speed. It has an adjustable speed control from 0 to 3000rpm and will stir up to 20 litres. 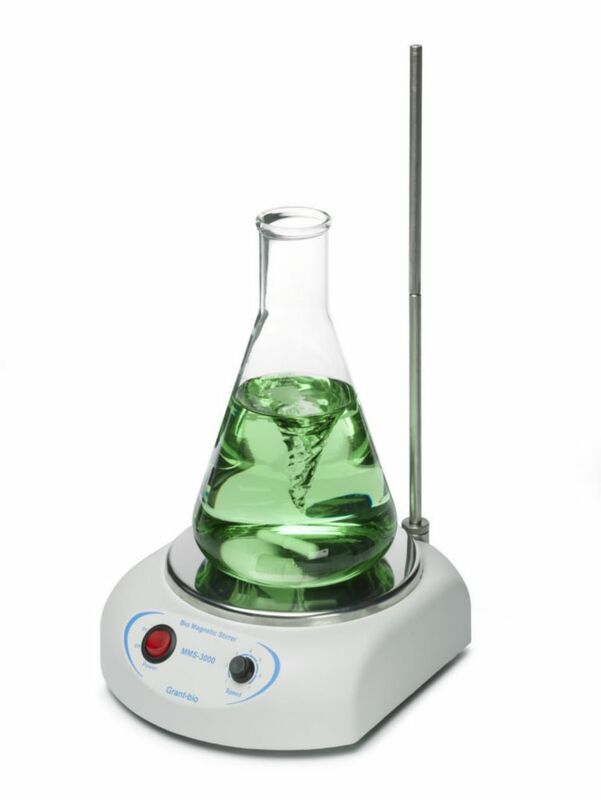 Ordering information: Mini magnetic stirrer is supplied with a stirrer rod. Unit sold with manufacturer 2 year warranty.